Capacity Building Training Programme enables people, communities and organizations to strengthen their capabilities. It will help the participants in performing better in their respective activities and for some of them it will be a process of learning new skills or adding more aspects to the set of skills they have acquired for an increased income. During the last year BSST has taken up a lot of capacity building and skill development programs that will help the community members as well as people from various private and government institutions. 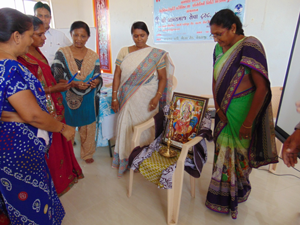 BSST carried out the CAPACITY BUILDING PROGRAM for Aanganwadi Workers, Block Coordinators, CDPO, Mukhya Sevika with the support of the Women and Child Development Department. The success of this program depends on the effectiveness of frontline workers in empowering community for improved child care practices through counseling, home visits as well as effective inter-sectorial service delivery. Training of functionaries at all levels has been effectively built into the program. Capacity Building Program Aanganwadi workers are working as the frontline workers for the Integrated Child Development Scheme (ICDS) functional under the Women and Child Development department. The daily functioning of Anganwadi includes the involvement of AWWs with Pregnant Women, Lactating Mothers and Adolescent Girls, Parents, Medical Officers of Primary Health Centre, Asha Worker, Female Health Worker, Nagar Palika/ Panchayat Officer, Primary School Teachers etc. BSST organized three days residential training program on ICDS orientation & capacity building for 625 Aanganwadi workers at Mahesana. 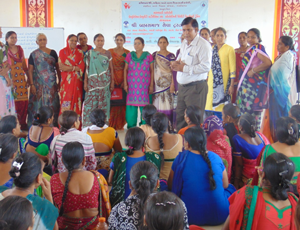 Training was provided in 25 batches with each batch of having 25 Aanganwadi Workers. The training covered the various topics which included Communication, Skill development, Communication in ICDS at different places & people, Communication regarding nutrition, Communication with women & Adolescent Girls for availing various schemes, communication with PHC/MO/ANM regarding availing health benefits, Communication with mothers for providing primary education to children, Communication with PO/CDPO/ Supervisor for Administrative implementation, Communication with Mother/ Teacher/ Doctors for effective operations of SABLA Scheme, field visit etc. 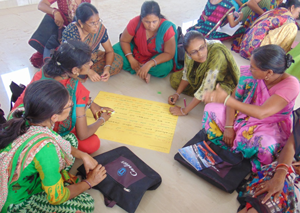 At block level, Child Development Project Officer (CDPO) is in the in-charge of an ICDS Project. Three days residential training program was organized by BSST wherein 64 CDPO’s from Patan, Mahesana, Banaskantha, Sabarkantha, Dahod, Bhavnagar, Gandhinagar & Ahmedabad participated. Some of the very basic topics that will make the ICDS program more effect were included in the training. The topics covered were introduction, purpose, aim, history & elements of ICDS Scheme, Information regarding Women & Child Development Department & Mission Balam Sukham. 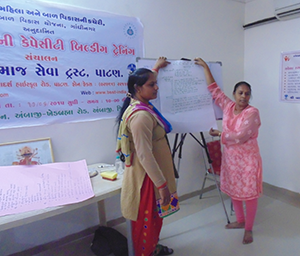 Besides, the participants were explained about the role of CDPO in ICDS Scheme, different stages of child development, effects of Malnutrition in India & Gujarat, Evaluation of the ICDS Scheme implemented by Aanganwadi, Administrative information applicable for Aanganwadi & CDPO and many more were covered in the 3 days program. The participants went with more clarity about their role and the ICDS program that is being implemented by the department since many years now. Capacity Building Program The Block Coordinator (BCO) provides management and implementation support for all project activities in the block, under the guidance of the District Coordinator and in close coordination with the CDPO - ICDS. BCO provide inputs and support to the development of district level project action plans as well as ICDS District Annual Plans, organize and facilitate relevant trainings for capacity building of ICDS Supervisors and AWWs in coordination with the District Team. BCO has to prepare monthly progress/monitoring reports in the prescribed formats and submit the same to the District Coordinator. BCO facilitates engagement with community based organizations such as women’s groups, youth groups etc. for partnership and support for project implementation. 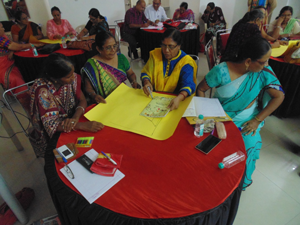 BSST provided 4 day residential capacity building training to 232 Block Coordinator of Patan, Mahesana, Banaskantha, Sabarkantha, Dahod, Bhavnagar, Gandhinagar & Ahmedabad which empowered them to act upon their task effectively. The training content for the BCO’s included details on various programs like ICDS, Mission Balam Sukham, IGSMY, Malnutrition, EECE, New guidelines for nutrition according to WHO, VHND, Mamta Card, Vaccination, VCNC, VHNC etc. 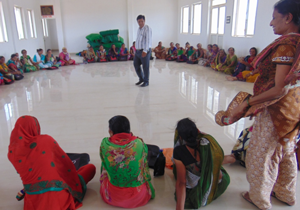 Capacity Building Program Mukhya Sevika supervises every 40 to 65 Aaganwadi workers. They provide on-the-job training to AWWs. In addition to performing the responsibilities with the Anganwadi workers, they have other duties such as keeping track of who are benefiting from the program from low economic status — specifically those who belong to the malnourished category; guide the Anganwadi workers in assessing the age and weight of children and how to plot their weights; demonstrate effective methods, for example, in providing health and nutrition education to mothers; and maintain statistics of Anganwadis and the workers to determine what can be improved. The Mukhya Sevika then reports to the Child development Projects Officer. 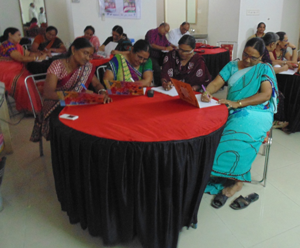 BSST provided training to 287 Mukhya Sevika of Patan, Mahesana, Banaskantha, Sabarkantha, Dahod, Bhavnagar, Gandhinagar & Ahmedabad with the objective to help them in their work area and increase their efficiency level.